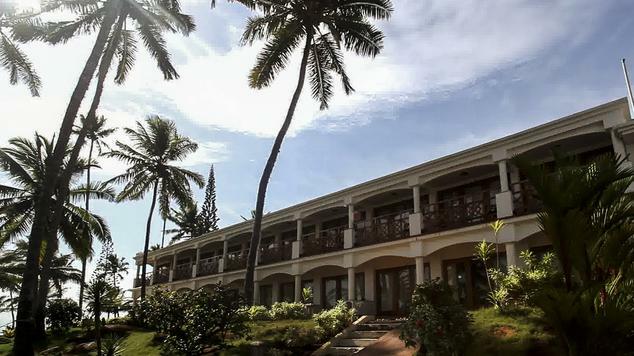 Located in Kovalam, KTDC Samudra hotel is situated near Thiruvananthapuram on the Kovalam beach. 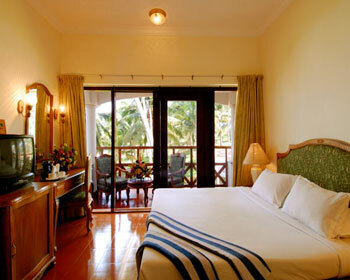 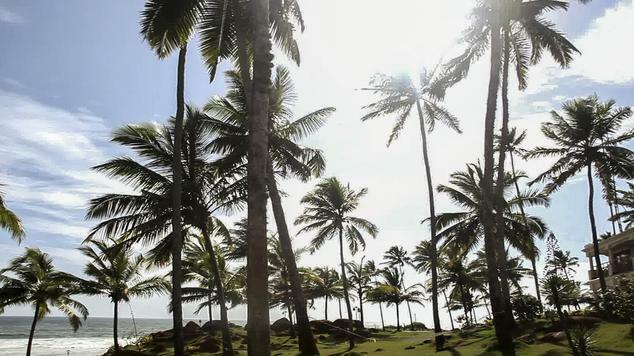 The hotel is just a few minutes from the beach and at a short walking distance from the world famous Eve’s beach. 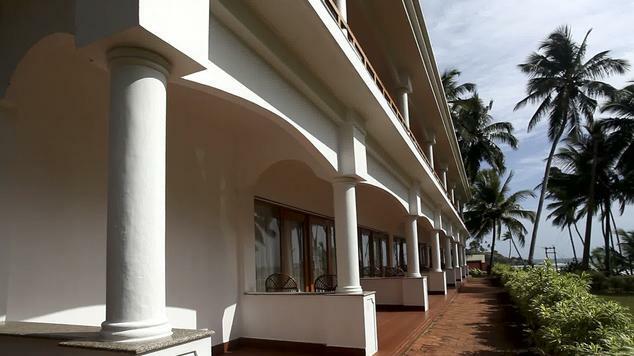 Guests can also visit the famous tourist spots, namely Shri Padmanabhaswamy temple and Trivandrum secretariat that is at a close proximity. 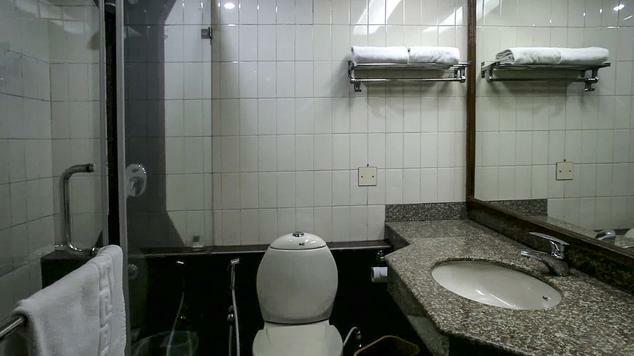 The hotel also features its own spa, fitness center, seasonal outdoor pool, shuttle services that take the guests to the beach or shopping center, 24 hour room service, 64 fully air conditioned rooms, high speed W-Fi internet, a business center, free parking facility, airport transfers and much more. 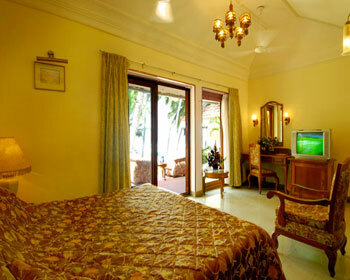 The hotel offers 62 deluxe rooms that are well furnished and offer complete comfort to the guests. 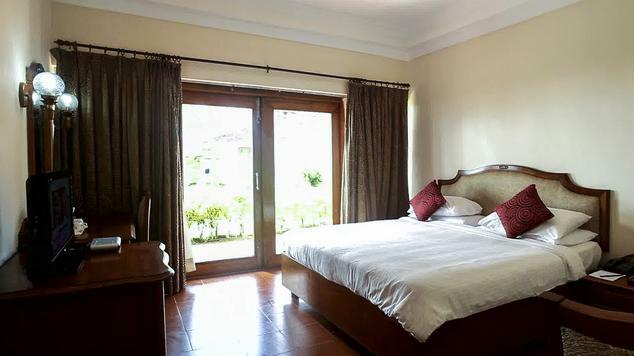 The room is available in either a single or double sharing basis and offers a large king sized bed, air conditioned within room temperature control, a ceiling fan, TV with cable connection, a separate working desk, dressing table, attached bathroom with running hot/cold water, direct dial telephone, chargeable high speed internet, 24 hour room services and much more. 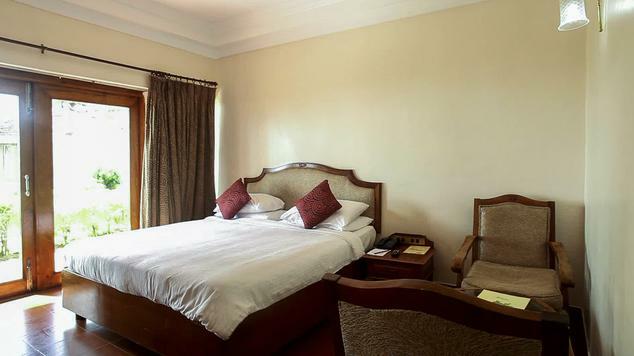 The hotel offers 2 premium rooms that are well furnished and offer complete comfort to the guests. 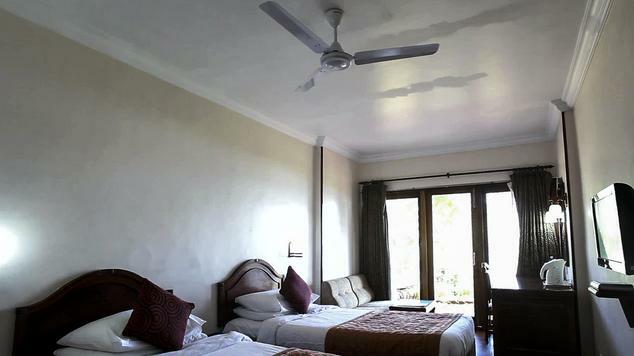 The room is available in either a single or double sharing basis and offers a large king sized bed, air conditioned within room temperature control, a ceiling fan, TV with cable connection, a separate working desk, dressing table, attached bathroom with running hot/cold water, direct dial telephone, chargeable high speed internet, 24 hour room services and private sit out balcony that overlooks the sea view. 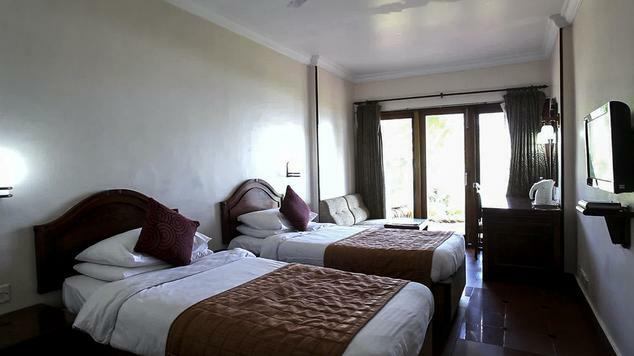 The hotel offers its own in house restaurant that serves multi cuisine food along with 24 hour in room dining services. 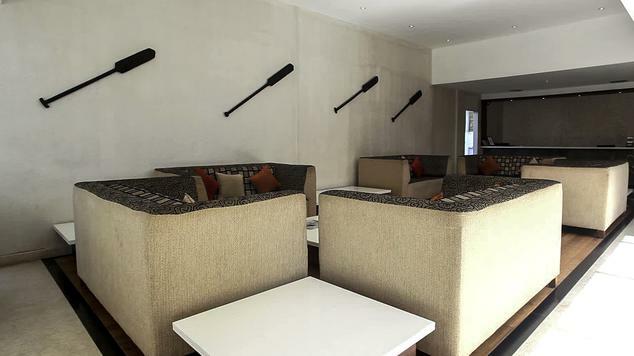 Admire the amazing ambiance of the place during dine-in while you relish sumptuous delicacies of Indian, Continental and world popular fares.